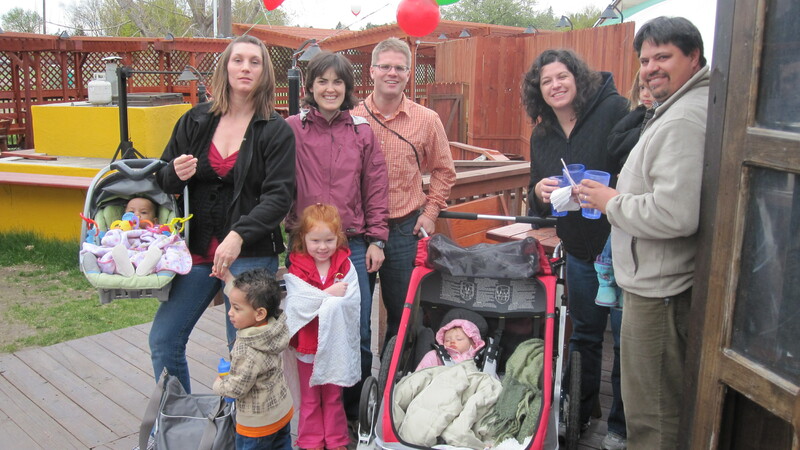 The 1st Tow your Tots was cold but great! Last week (Cinco de Mayo) was indeed a cold ride but we did it! And the trip only took 30 minutes! Even at a slow pace, from Mountainview Park to Patty’s Kitchen, stopping 2 or 3 times to watch the pheasants and mallard ducks, the trip was surprisingly fast. The whole trip is flat and mostly on the bike-paths so it was easy! 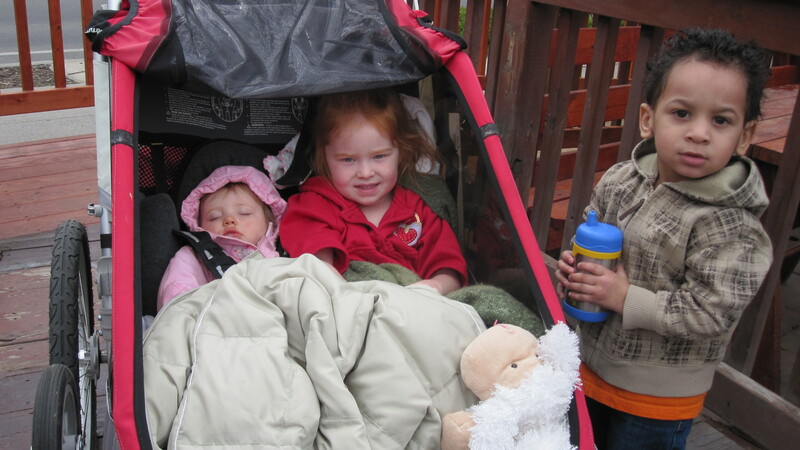 I carried a friend’s 4 year old in the Charriot stroller with Hannah and it worked beautifully, Hannah even feel asleep with a buddy next to her! Gretchen and her kids met us at Patty’s and since it was Cinco de Mayo we saw many friends there with the same idea for lunch. 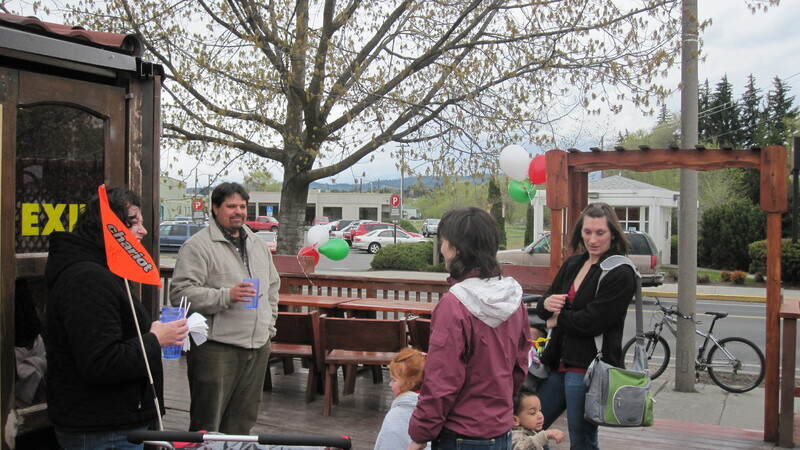 We hope to see more Mom’s with bike trailers out this week, or just meet us at Patty’s to enjoy some burritos together!